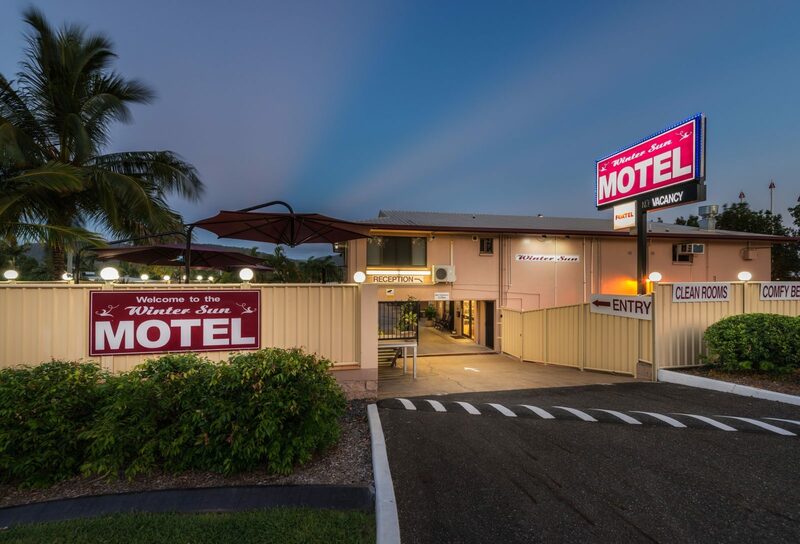 The Winter Sun Motel is conveniently positioned in North Rockhampton on the Bruce Highway (near the Farm Street intersection). It is close to CQ University and also the Crematorium. The Winter Sun’s rooms are clean and quiet. 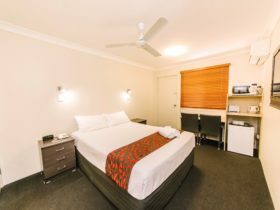 They feature comfortable queen sized beds and either a couch or single bed. 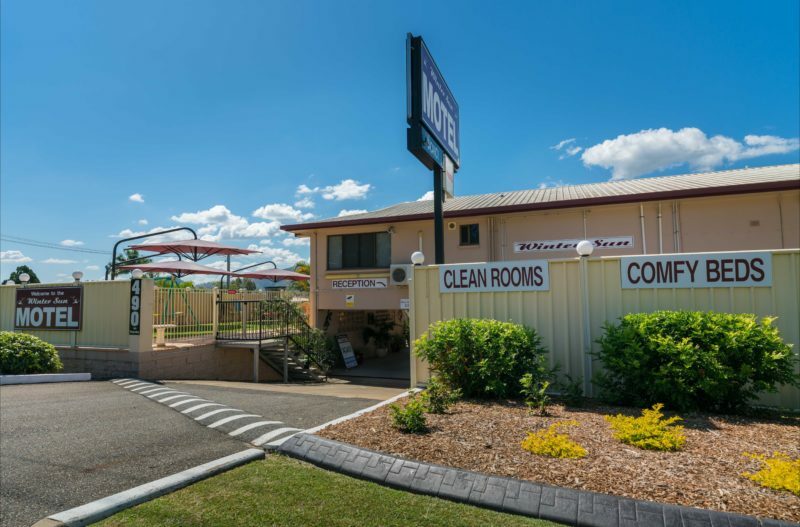 To make you feel even more at home, all motel rooms come with the following as standard: free cable television, free Wi-Fi internet access (limits apply), air-conditioning, tea and coffee facilities, microwave, toaster, large fridge. Guests are welcome to use the laundry and barbecue area. The Winter Sun is within walking distance to the Glenmore Shopping Centres. Enjoy a lovely meal at the Tavern, just a stone’s throw from the Motel and very popular with guests. 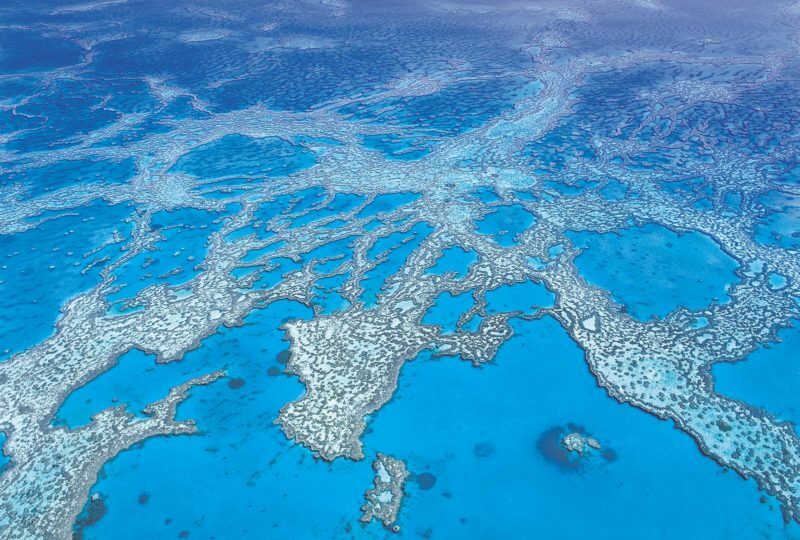 Alternatively, McDonalds, Subway, Red Rooster (and many more delicious options) are an easy walk from the motel. Each room is allocated an undercover park. Side street access is available (along Weaver Street). Off street parking is also available for light trucks if required. Conveniently located. 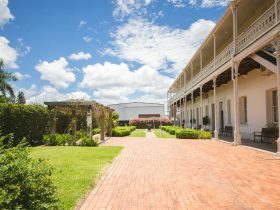 The best value on the north side of Rockhampton! Their rooms are quiet, clean and comfortable. 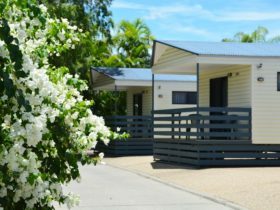 They feature two single beds, couch, free cable television, free wireless internet access, air-conditioning, tea and coffee facilities, microwave, toaster, large fridge, ironing facilities, undercover parking. Ground floor rooms are tiled. First floor rooms are all carpeted. 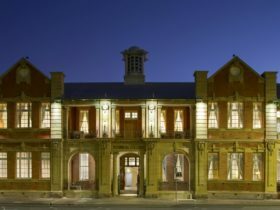 They are within walking distance to shops, takeaway and restaurants. 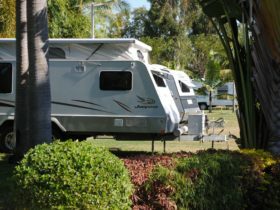 They feature a queen bed, couch, free cable television, free wireless internet access, air-conditioning, tea and coffee facilities, microwave, toaster, large fridge, ironing facilities, undercover parking. Ground floor rooms are beautifully tiled. First floor rooms are all carpeted. 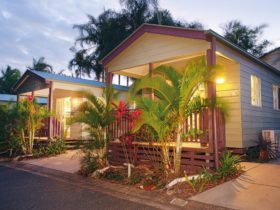 They feature a queen and a single bed, free cable television, free wireless internet access, air-conditioning, tea and coffee facilities, microwave, toaster, large fridge, ironing facilities, undercover parking. These are ground floor rooms which are beautifully tiled. These rooms are clean and comfortable. Upstairs only. 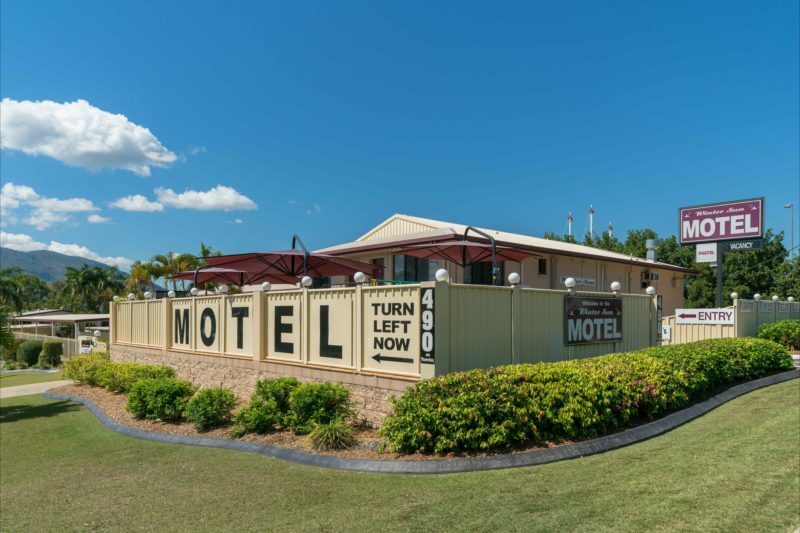 It features a queen bed, free cable television, DVD player, free wireless internet access, reverse cycle air-conditioning, kitchen facilities, ironing facilities, undercover parking. This room is close to the highway, but has lovely views of Mount Archer. Strictly non-smoking. Sorry, no portacots.